You're looking at the SUV daddy. Until Bentley unveils the Bentayga, Rolls-Royce reveals the Cullinan (that’s a codename for now) and Maserati takes the wraps off the Levante, the Range Rover SVAutobiography, unveiled this week at the New York Auto Show, sits at the top of the SUV tree. 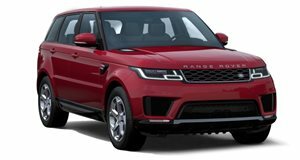 Built by the firm's Special Vehicle Operations unit, the range-topping model strikes a menacing pose and oozes luxury, from its polished chrome grille and black upper body to the quad exhaust pipes, the exterior has plenty of presence. But the interior is the reason buyers will part with almost $200,000 for this premium piece of machinery. Leather, wood, and aluminum cover every inch of the cabin, there’s a refrigerator, power deployable tables, power-adjustable seats, and more. Combine all that with a 542-hp 5.0-liter supercharged V8 and you have yourself a very enticing package. Land Rover has set the bar pretty high with the Range Rover SVAutobiography. The rest will now have to play catch up.